Yes, it’s off the beaten path nearly at the end of Fountain Hills on Fountain Hills Blvd and Glenbrook, but that’s not the end of the world. The extra — what? 5 minutes — it takes to get there is definitely worth it. 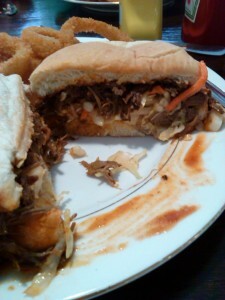 The Kansas City pulled pork sandwich features a tangy BBQ sauce smothering a generous portion of perfectly cooked pork. 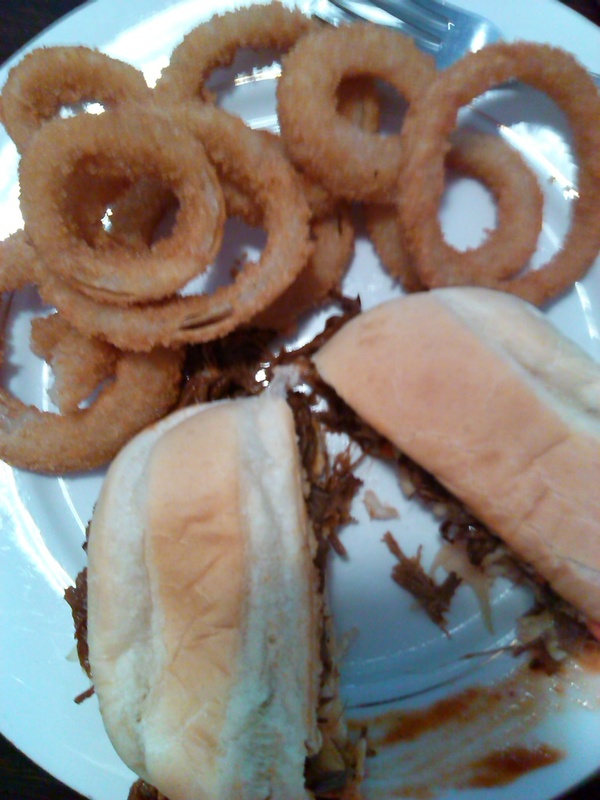 Sometimes pulled pork gets mushy because it’s overcooked but not a Laura’s. There just enough coleslaw on the bun to give the sandwich some crunch. The vinegar in the coleslaw cuts through the richness of the meat. I opted for the onion rings as a side. Now you might think that onion rings are easy to make. They’re not. Either the onion gets dried out while the batter cooks through or the batter crumbles off the cooked ring when you bite into it. I’d give these rings 10 out of 10. French fries were not too salty or greasy. 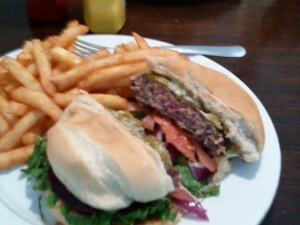 If you like burgers, try their green chili cheeseburger. A well-seasoned beef patty is complimented by not too spicy green chilies and gooey pepper jack cheese. The tomatoes, red onion and lettuce add both crispness and juiciness. The little things like a toasted bun and shredded lettuce instead of a lettuce leaf show attention to detail. The fish is hand battered and dipped into panko crumbs for extra crunch. Panko crumbs are made from a special bread that is only used to make the Panko crumbs. We were lucky enough that Laura herself was there today, what a welcoming, pleasant personality she has. The service was friendly and efficient, but not hovering. The one suggestion I would make is to put some color, perhaps parsley, on the plate to spruce up the presentation. Take the extra 5 minutes and treat yourself to lunch or dinner at Laura’s Place. You’ll be glad you did.